AB-1465 Education finance: education omnibus trailer bill. (13)Existing law establishes various health research grant programs, including the Cancer Research Program, the Breast Cancer Research Program, and the Spinal Cord Injury Research Program. This bill would enact the California Blueprint for Research to Advance Innovations in Neuroscience (Cal-BRAIN) Act of 2014, and would request the Regents of the University of California to establish the Cal-BRAIN program to leverage California’s research assets and the federal BRAIN Initiative’s funding opportunities to accelerate the development of brain mapping techniques, including the development of new technologies, in order to achieve certain goals. The bill would additionally request the University of California to convene certain stakeholders to develop a governing structure for the Cal-BRAIN program designed to do specified tasks, and to provide information about the program through an Internet Web site. These provisions would only be implemented to the extent that adequate funding is appropriated to the University of California, as specified. 92985. This act shall be known, and may be cited, as the California Blueprint for Research to Advance Innovations in Neuroscience (Cal-BRAIN) Act of 2014. 92985.5. 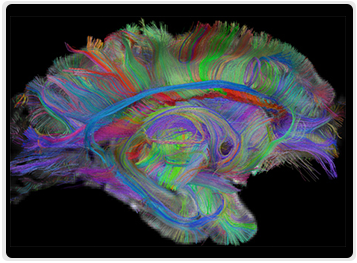 (a) In April 2013, President Obama unveiled the Brain Research through Advancing Innovative Neurotechnologies (BRAIN) Initiative — a collaborative program that will map the activity of every neuron in the human brain with a programmed total investment of more than three hundred million dollars ($300,000,000) per year over 10 years. (b) The BRAIN Initiative is launching with approximately one hundred ten million dollars ($110,000,000) in funding for research in 2014, as well as additional private sector investment from institutes and foundations based in California. (c) California is poised to be a world leader in this research effort given the prominent role of scientists and industry leaders throughout the state. 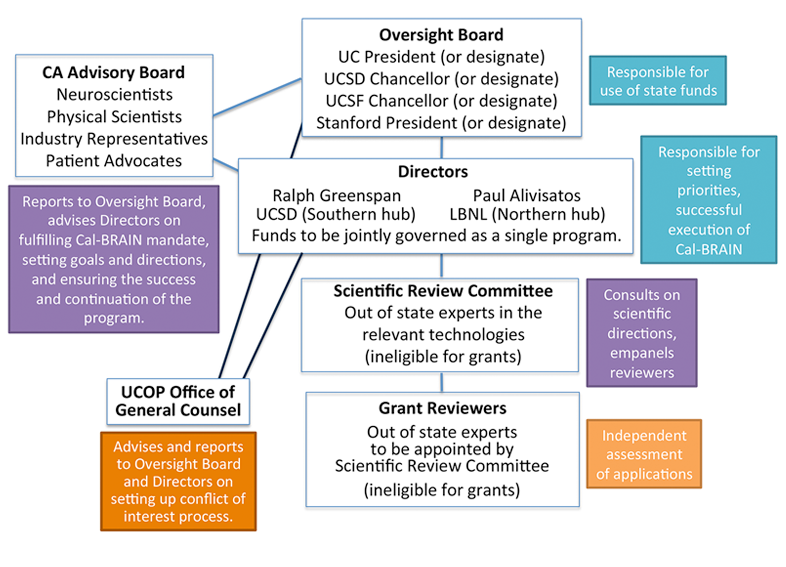 (d) Four of the six scientists who proposed the BRAIN Initiative and six of the 15 members of the Advisory Committee to the Director of the National Institutes of Health for the BRAIN Initiative are from California. (e) Some California-based corporations have indicated they are interested in collaborating with brain research institutions on research for the BRAIN Initiative to bring new discoveries to the marketplace. (f) The BRAIN Initiative has the potential to be a major driver of new industries and jobs in biotechnology, artificial intelligence, and information technologies, as well as a catalyst for major breakthroughs in brain-related diseases, injuries, and illnesses, including Alzheimer’s disease, which is programmed to cost California over thirty billion dollars ($30,000,000,000) a year by 2030. (g) The products of scientific research improve the quality of our lives and health and provide us with high-quality jobs that employ and demand a highly skilled workforce. (h) Given California’s assets and capacity for collaboration, entrepreneurship, and innovation, a state investment to expand and accelerate this research in the state and to promote the translation of breakthroughs into the marketplace is an important investment in the intellectual infrastructure for California’s economic future. (1) Maintain California’s leadership role in neuroscience innovation. (2) Develop a dynamic map of the human brain that provides researchers, physicians, and engineers with the knowledge necessary to develop new treatments and technologies that will improve lives and reduce the costs of providing health care. (3) Grow California’s economy through the expansion of California’s high technology and biotechnology sectors. (4)Train the next generation of scientists for the neuroscience and engineering jobs of the future. (b) The University of California is requested to utilize California’s unique collaborative research environment by convening stakeholders from public and private research institutions, national laboratories, biotechnology and high technology companies, and venture capital firms to develop the governing structure for the Cal-BRAIN program. (1) Adopt a research plan that identifies milestones for achieving the goals of the Cal-BRAIN program. (2) Establish competitive, merit-based opportunities for interested public and private California research institutions and national laboratories to apply for Cal-BRAIN program funding. (3) Maintain the flexibility to adjust the Cal-BRAIN program’s priorities and focus based upon knowledge gained from scientific discoveries. (4) Establish a technology transfer program to identify and accelerate the commercial application of both early and late-stage discoveries and technologies from the Cal-BRAIN program into the marketplace and to promote new and expanded technology sectors in the state. (5) Solicit contributions to the Cal-BRAIN program with a goal of achieving a nonstate funding match that meets or exceeds the financial investment by the state. 92987. The Regents of the University of California are requested to provide information about the Cal-BRAIN program through an Internet Web site, including a brief description of funded projects and activities. 92988. This chapter shall be implemented only to the extent that adequate funding for its purposes, as determined by the Regents of the University of California, is appropriated to the University of California in the annual Budget Act or other statute.